750 Motor Club is delighted to announce a new addition to the busy TEGIWA Club Enduro paddock for 2019, with the inclusion of race meeting hospitality via a standalone Club Enduro Drivers’ Lounge, in partnership with TWP Racing. The dedicated Club Enduro Drivers’ Lounge will be available at each round of the 2019 season, with the hospitality available to all Club Enduro drivers and pit crews, plus friends and families. Headed up by Jon Earp, TWP is a well-known outfit in the 750MC paddock, fielding cars run by students from Wrexham Glyndwr University. Complimentary hot and cold drinks will be provided by Caber Coffee, in addition to entertainment and a big screen showing the current on-track action from Club Enduro live streaming partners Alpha Live. The Drivers’ Lounge will also act as the focal point for all championship matters, including prize givings and presentation of the TEGIWA £200 ‘Team Of The Day’ prize vouchers up for grabs at each event. 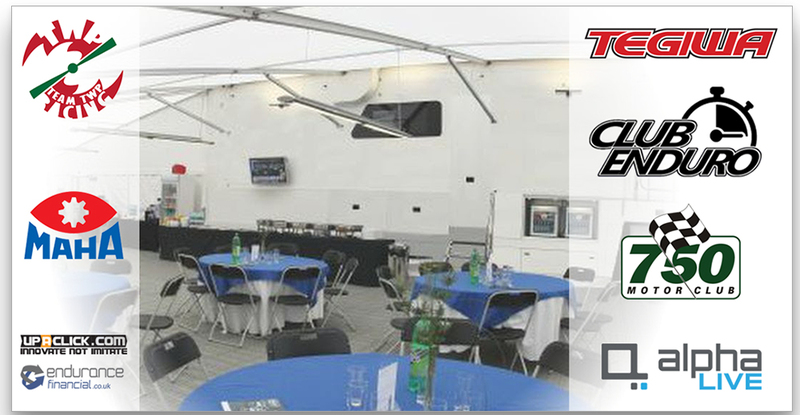 As part of the package, Club Enduro competitors at Spa Francorchamps will have the option of adding full professional catering in the Drivers’ Lounge for the long weekend including a bar, Friday night hog-roast and evening party. The on-site hospitality will be managed by Clare Gaffoor, an events management student at Loughborough University.